After losing the toss and been put into bat. 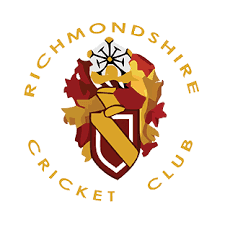 Richmondshire found themselves 25-4 with only opener Kai York showing any resistance to the opening bowlers. Kai was joined by Freddie Hendrix and together re-built the innings with a 48 run partnership with both of them hitting a six, before Kai retired on 30 not out. Freddie playing some lovely shots also went on to retire on 31 not out. Some sensible nice shots and good running between the wickets from Zak Cleminson who was out for 9 and Tom Van Niekirk out for 6 got Richmondshire to 105-8. Norton got off to a good start with both openers retiring on 30 and 35, before Joe Carruthers came on and slowed the run rate down with figures of 2-0-6-0, and at the other end some excellent swing bowling from Kai York who finished with figures of 3 wickets for just 2 runs of his 3 overs made the game closer than norton thought it was going to be. In the end Norton won by 4 wickets. Well done as we all worked hard in the field and didn't give up. But some work to be done on front foot defensive shots when batting.